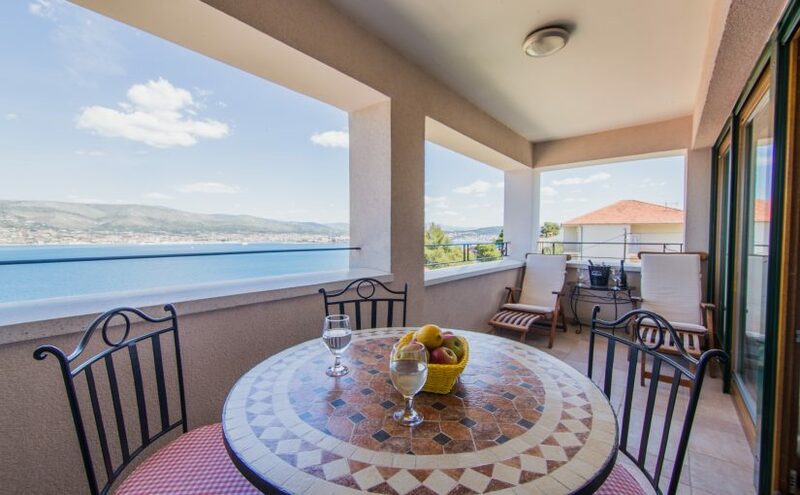 Villa Novak is situated on a sunny island called Čiovo in a small, peaceful place named Okrug Donji not far from Trogir. It is some 100 m from the shore and offers a view of the sea from all the balconies. Trogir, one of UNESCO World Heritage monuments, is only 7 km away by land, and 11 km from Split airport. The building has twelve new, luxuriously equipped apartments, garages and parking spaces for guests. All apartments are air-conditioned and have TV sets, DVD players and free ADSL Internet access. Besides the living room and the bedrooms, each apartment also has two bathrooms, fully equipped kitchen and a balcony. More information on our apartments is available by visiting the Apartments page. Access to our DVD movie library is also available at no cost, as well as bycicles for grown-ups and children. Also, guests may use a barbeque at the front of the building if they have so arranged previously.